Gega, a Bulgarian sound recording company, was created in the early 1990s to compete with the newly privatized Balkanton Trading Company label. Listings are by number, a system terribly confused by company re-organization and by parallel issues on CD and cassette without parallel numbers. GC 524  Rhodope Folksongs and Dances. GC 528  Romani Songs. GC 540  Being There (Dobrudja). GC 571  Trio Bulgarka  The Forest is Crying. GC 583  Rhodopea Folksongs  Kaba Trio. GC 727  Pirin Folksongs. GC 728  Rhodopa Folksongs. CD GD103  Severnyashko Folk Ensemble. CD GD106  BG Folkdances Vol 1 /c GC506. CD GD110  Trakia Ensemble. CD GD113  Authentic BG Folksongs. CD GD116 BG  Folk Music Vol 1/ c GC516. CD GD124  Rhodopa Family. CD GD141  Theodosii Spassov: Welkya (jazz kaval) /c GC541. CD GD147  Mystery of BG Voices Choir. CD GD159  Orch Rousse: Horo /c GC26. CD GD176  Folksongs & Dances of Dobroudja. CD GD547  Mystery Of BG Voices: Customs Songs. CD GD194  Theodosii Spassov:Beyond the Frontier (jazz) / c GC594. CD Ivo Papasov  Orpheus Acsending. CD Ivo Papasov  Balkanology. CD Key to the Mystery  Rofinka (women's choir). CD Kilim  Nikola Parov. CD Renaissance of BG Music  from Petur Iliev. 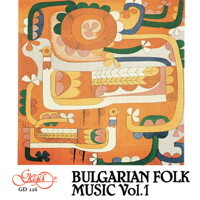 CD Vocal Traditions of BG  (from Radio Sofia archives). CD  Yuri Yunakov  New Colors of BG Wedding Music Gega GC 26 Horo orkestûr Ruse. 1992. Gega GC 501  Church Music - Yoan Kukuzel Angeloglasniyat. Gega GC 503  The Severnyashki folk ensemble round the world. 1991. 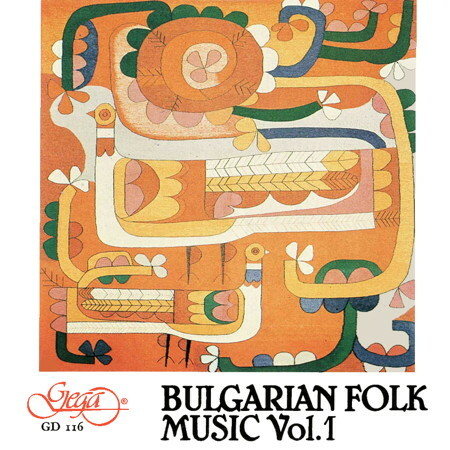 Gega GC 516  Bulgarian Folk Music Vol.1. 1993. Gega GC 540  Being There - Dobrudzha State Ensemble, Dobrich. Gega new GC 547?  See: Gega DDD GD 147 - Bulgarian custom songs. Gega GC 557  Jewish Songs from Bulgaria, arranged by Nikolai Kaufmann. Gega GC 576  Gega DDD GD 176  Folk Songs & Dances with the Dobrudja Ensemble. Gega new GC 583  See: Gega new GD 183. Gega GC 586  Vesela i Lyuben Bozhkovi, Brili momi kûpini. Gega GD 103  Severnyashki folk ensemble round the world. 1990..
Gega GD 106 - BECTA  The Greatest Bulgarian Folk Dances. Gega DDD GD 124  ? Gega DDD GD 147  Bulgarian custom songs = Gega new GC 547?. Gega DDD GD 159  Horo orchestra - Russe, Bulgarian folk music. Gega DDD GD 176  = Gega GC 576 - Folk Songs and Dances with the Dobrudja Ensemble (see Gega GC 576). Gega new GD 183  Gega new GC 583 - Rhodopea Kaba Trio. 1995.